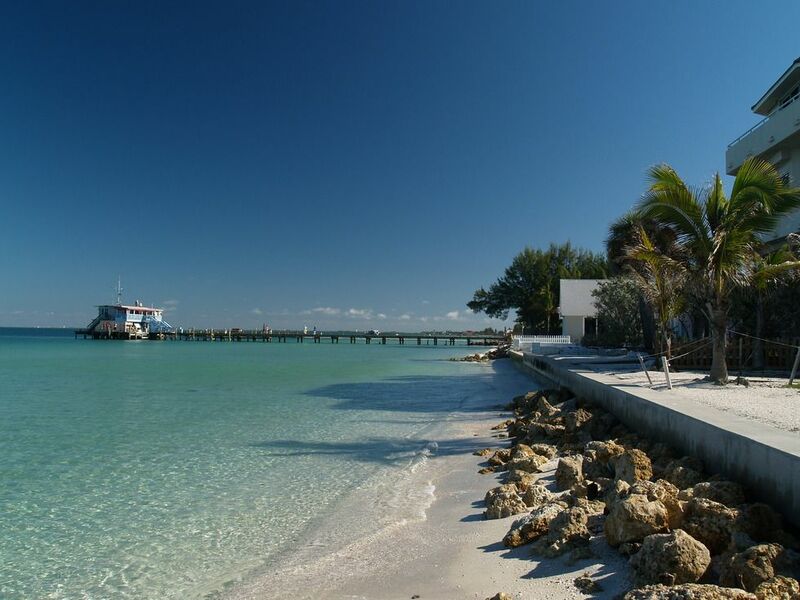 Bradenton may not be a household name like Daytona or Key West, but it’s certainly worthy of consideration on your summer getaway shortlist. Located just an hour’s drive from Tampa, this southwestern beach is formally a part of the Anna Maria Island that also includes Holmes Beach and Anna Maria. In this brief article, we’ll tell you all the most important things to do in Bradenton Beach. Wel’ll also explain how to get there from anywhere in the world. 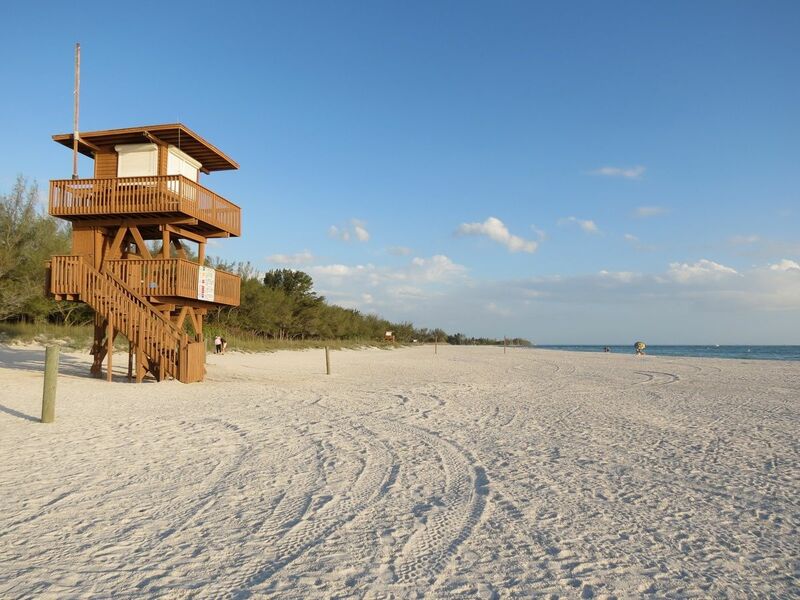 Of course, one of the main things to do in Bradenton Beach is to…you know, visit the beach! Like most of Florida’s beaches, Bradenton Beach is famed for its powdery white sands and gorgeous sunsets. Many tourists to Bradenton Beach also rave about the unique seashells you can collect and the diversity of marine animals the sea. To meet the increased tourist demand in the region, Bradenton Beach now offers Segway tours, scuba-diving tours, and dolphin watching tours for those who are interested. People looking for the best shopping and dining in Bradenton Beach must check out the businesses on Bridge Street. If it’s fishing you’re into, you’ll find plenty of fishing piers dotted throughout Bradenton Beach to cast out a line. One of the nicest features of visiting Anna Maria Island is that it has a complimentary trolley service that runs between 6AM and 10:30PM most days. Just look out for the big blue bus to get you around the tourist draws in this lovely island. Just so you know, peak travel season to Bradenton Beach is usually between June and September. The beach can get pretty crowded in the afternoon hours. It may come as a shock to some readers that the number one attraction on TripAdvisor’s list of things to do in Bradenton Beach is another beach! That’s right, Coquina Beach, which is about a five-minute drive south of Bradenton Beach proper, has surpassed Bradenton Beach on its own list. So, what makes this beach so special? One thing guests really enjoy about Coquina is that they have plenty of charcoal grills to use for a cookout. There are also numerous amenities and plenty of parking spaces around Coquina. Just be forewarned, this beach can get pretty busy throughout the day. If you want a more intimate experience of Coquina Beach, then consider visiting around 5:00PM or 6:00PM. This is when most of the crowds have turned in for the day. For those of you who slept through your American history class, Hernando de Soto was a famous Spanish conquistador who landed in Tampa Bay in 1539. Hernando de Soto’s expedition for gold was one of the earliest and most significant in early American history, especially his crossing of the Mississippi. To learn more about de Soto’s legacy in this region, be sure to add a visit to the De Soto National Memorial to your things to do in Bradenton Beach itinerary. There are always historical re-enactments going on at this National Park. You’ll find De Soto National Memorial in northwestern Bradenton at 75th Street. 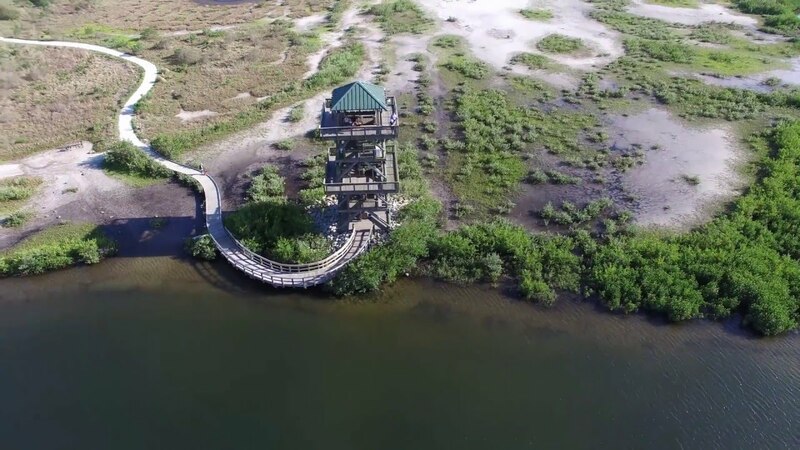 Located near the De Soto National Memorial, the Robinson Preserve is an almost 500-acre nature park filled with incredible Florida flora and fauna. Feel free to bring your bike and take a ride down one of Robinson Preserve’s many well-maintained roads. There are also plenty of hiking trails, kayaking opportunities, and even a designated skateboarding area in this beloved nature preserve. Outdoors enthusiasts must schedule a trip to Robinson Preserve on their vacation to Bradenton Beach. The main entrance to Robinson Preserve is at 1704 99th Street, Bradenton. Foodies have nothing to worry about on a visit to Bradenton Beach. In addition to standard beach food fare and seafood, Bradenton Beach and surrounding Bradenton have an eclectic array of restaurants specializing in French, Italian, and Spanish cuisines. Some of the best-reviewed restaurants in the area include Michael John’s Restaurant, the French Table, and the Bridge Street Bistro. Of course, if you don’t find anything you like in Bradenton, you could always explore the thousands of restaurants in nearby cities like Tampa and St. Petersburg…which leads us to our next point. Although Bradenton Beach is fantastic, you’re shortchanging yourself if you don’t plan a day or two to explore all the nearby cities of Tampa and St. Petersburg. It’s impossible to list all the attractions you can visit in these cities, but let’s give it our best shot: Busch Gardens, the Tampa Museum of Art, the Florida Aquarium, the Salvador Dali Museum, and the Sunken Gardens. If you don’t feel like heading back into a city atmosphere, then you should at least take a trip to Clearwater one day. According to a recent survey using TripAdvisor reviews, Clearwater Beach won the title for the number one beach in America and the third best in the world. The largest airport near Bradenton Beach is Tampa International Airport (IATA: TPA). Almost 20 million passengers go through TPA every year. You shouldn’t have a problem flying in here no matter where you’re traveling from. Some of the major carriers TPA welcomes include Delta, Southwest, United, JetBlue, and British Airways. It’s only about a one-mile drive from TPA to Bradenton Beach. First, get onto I-275 S to US-19 S and follow for about 30 miles. Continue until you see S Tamiami Trail and FL-64 West towards State Highway 684. You should arrive in Bradenton Beach within about 18 miles. While there are plenty of things to do in Bradenton Beach, the whole Anna Maria Island area tends to attract people who are looking for and old-fashioned, laid-back Florida beach experience. People looking for quality R&R on some of the finest beaches in the Sunshine State can’t go wrong with a trip to beautiful Bradenton Beach.